Clifton Springs, in Ontario County, southeast of Rochester, has population of about 2,000, and is named after its mineral springs which were frequented in the past for their reputation of restoring health. The village is lovely and quaint. Clifton Springs Hospital is the main employer in the area. Michaels & Smolak has represented many clients from the Clifton Springs area over the years, including, most recently, the victim of a car accident who suffered severe brain damage. Many of the firm's clients from Clifton Springs found us through referral by other attorneys. Many local attorneys refer all their personal injury and medical malpractice cases to Michaels & Smolak. They do so because they know the firm's reputation for success in these highly specialized types of cases. 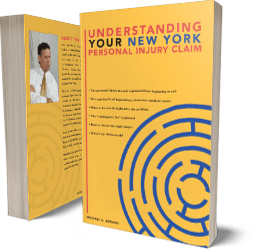 The personal injury and medical malpractice lawyers of the firm travel to meet their clients at their home, or, if the clients prefer, they can meet the firm's lawyers in Geneva, New York, where they have the use of several law offices, or at the firm's home office in Auburn, New York.